Books and a Thank You! I just want to say Thank You to everyone who came out to BrazCon on Saturday! It was a wonderful time, I got to meet some amazing young writers, and I can’t wait for next year! I was fortunate to meet some awesome authors as well! Here is a glimpse of some of their books! D. Marie Prokop enjoys writing and reading stories with riveting adventures, spiritual insights, and enlightening cultural or social critiques. Her favorite authors include Madeline L’Engle, Pearl S. Buck, John Green, and C. S. Lewis. A member of WriteSpace Houston and the Houston Writer’s Guild, D. Marie gains both education and comradery from her local writing community. She’s written and published YA, children’s fiction, science fiction, adventure, fantasy, and horror. In 2011, D. Marie discovered the National Novel Writing Month challenge and became enamored with writing fiction. The challenge of NANOWRIMO helped D. Marie create her YA Sci-Fi trilogy, Days of the Guardian. The Days of the Guardian trilogy now includes The Red String, The Red Cloak, and The Red Knot. D. Marie is also a singer-songwriter and avid fiber artist/knitter. Born and raised in Pennsylvania, the former Yankee now resides in Houston, Texas, along with her loving family, their feisty cats, a beloved ukulele, and much, much yarn. 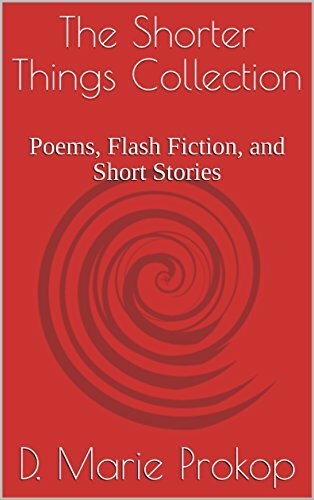 Welcome to my non-young-adult collection of shorter things: poetry, flash fiction, and short stories that span various genres, including science fiction, fantasy, horror, and memoir. Every piece in this volume is under five thousand words. Sifting through my files, I gathered a collection of shorter pieces written over recent years that do not fit comfortably in the young adult genre. 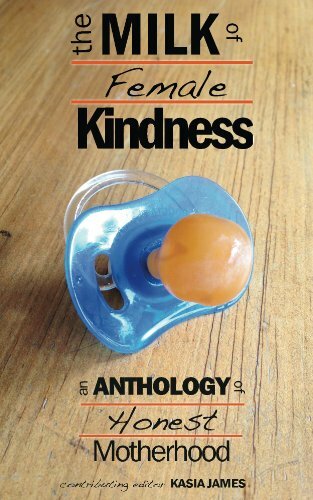 Some of these works were the result of writing workshop exercises, and some were prompted by specific challenges, for example, National Poetry Month and various literary magazine submission themes. Fair warning—though each piece is short, they are not all sweet. It is the year 2053. Ainsling Reid is a spirited and happy 16-year-old. Though she suffers from debilitating seizures, she has hope in the one doctor who has promised to cure her. Li Griffin wishes his father would let him live his own life. He is angry and resentful that he has been forced to work at his Clinic. His feelings are harsher for the mother who abandoned him many years ago. 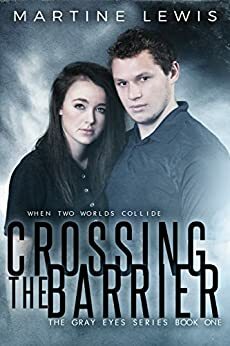 Despite their differences, these two teens form an unexpected bond when their lives cross paths. 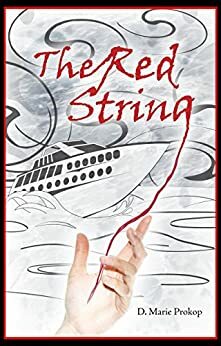 In “The Red String,” Ainsling and Li will find themselves in need of a rescue. He attended Baylor University for his undergrad, SMU for his grad degree, and taught English at Greenhill School in Dallas for a decade; however, he left teaching to devote himself to his writing full time as well as sharing his love of human space exploration. He responds to fan tweets: @adamholtwrites. He travels abroad when he has time and money, loves Victor Hugo and C.S. Lewis, respects Rick Riordan, and loves the crunchy boom of a rocket launch. WARNING: YA fiction about space travel, friendship, and love. No glittery vampires allowed. Commander Harper is searching for water on Mars when he makes an unexpected discovery. It makes him a living legend, but that only leads to more missions. Once again, he has to leave his son behind. Not if his son has anything to say about it. 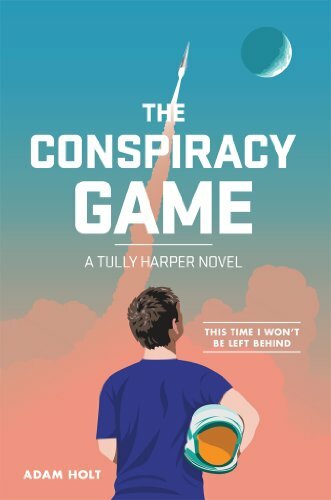 This summer Tully Harper puts away his video games and plans a mission of his own – to sneak into space on his father’s ship. To do that he will need plenty of help from Little Bacon, his pint-sized android, and his two best friends. Along the way, they will uncover The Conspiracy Game and change the fate of the solar system. This time Tully Harper won’t be left behind. With that, Tully Harper begins his second mission into space, an epic journey that takes him to an alien world. A superior race awaits him there, ready to invade the Earth. Will an unexpected partnership – and the return of Tully’s powers – be enough to stop the Ascendant? In his second book, Adam Holt weaves a wild web of space travel and mythology, humor and drama. 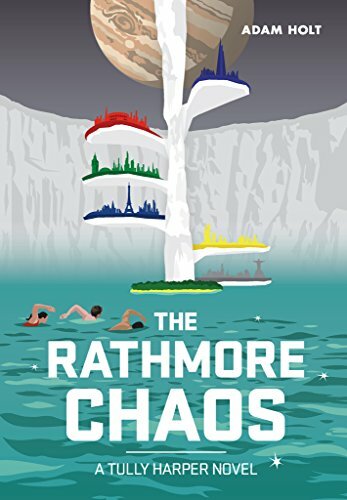 The Rathmore Chaos is a redemptive coming-of-age story that takes his young protagonist to the edge of himself – and our solar system. A girl stuck in her father’s mold. Olivia Kendall looks forward to her senior year of high school. But her world is shaken when a new boy walks into school, a boy she cannot help but be drawn to. But her father’s ideas for her life don’t include Alex. A boy with a gift, desperate for a real home. Alex Parker begins his senior year in yet another school. The only person he looks forward to seeing again is Olivia Kendall, a girl he knew in second grade, a girl who never made fun of him. One touch, and he knows what he’s suspected all along: there is something unearthly about their connection. Can the two stay together despite Alex’s secret, despite a town that seems to conspire against them? 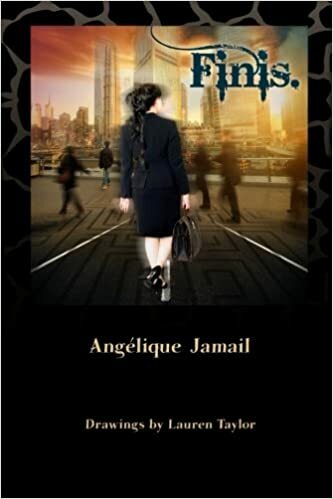 Angélique Jamail’s poetry and essays have appeared in over two dozen anthologies and journals, but she’s been writing fiction since childhood. The first time she ever read one of her short stories in front of an audience was fourth grade. The reaction to it was a character-building experience. She teaches English and Creative Writing to high school students. She resides in the Houston area with her family and a cat which might be immortal. She has otherwise lived in her imagination pretty much her whole life. Read more of her work, and find out about upcoming publications, on her blog Sappho’s Torque (www.SapphosTorque.com). Also find her in the realm of social media on Facebook and Twitter. She’s available for book club appearances in person or via Skype. ‘Mother’ is a word heavy with associations. Becoming a mother is surely one of the biggest changes and challenges in a woman’s life. It is at once an absolutely unique experience, and yet one which is so common that it is often overlooked. Motherhood is intense, relentless and absorbing, in all senses of the word. Popular culture seems to have a split personality when it comes to motherhood – at once holding it up as a sacred ideal, and yet being a little dismissive of women as mothers. A diverse international group of women have been brave enough to share their stories, poetry and artwork to encourage you to think and feel about this most influential of relationships in a new and enlightened way. And don’t forget that Innovation is still going until February 10, which is Saturday! Don’t miss out on a chance to get some great free books! Lost in a foreign land and separated from his family, Corin does his best to survive as a slave in the household of a Calorin lord. With newfound friends he fights for survival in ambushes and wars. For one act of bravery, he is awarded his freedom and returns to a home that has been invaded and ravaged by the Calorin armies. When Corin sets foot on Aredor’s shores, he has one goal in mind: find his family. He is driven into the forest, where he is reunited with childhood friends. From the shelter of the woods, they begin a spirited rebellion against Corin’s former cruel master, who now holds sway over Aredor. Follow Corin’s path in his quest to free his imprisoned brother, find a father who has vanished, and ultimately free his country in The Rise of Aredor. “What’s going on here?” A voice demanded in Calorin. “Corin, there’s someone out there!” Trey whispered. “Who’s in charge here?” Another voice asked. From inside the storeroom, Corin’s heart lifted as he heard the slurred speech of the men. They’re drunk! he realized. He grabbed a flagon off the shelf. “I hate this stuff,” he muttered and took a deep draft. Spluttering, he took another drink. “Corin, what are you doing?” Trey hissed. “Keep working. I’ll be back as soon as I can.” Corin clapped his shoulder. Liam and Martin watched bewildered as he staggered past them toward the soldiers. The soldiers looked at him through slightly unfocused eyes. “We were supposed to leave earlier, but they didn’t get the wagon loaded in time.” He jerked a thumb back at his companions. “You know how lazy those cavalry soldiers can be.” He took another pull at the flagon as Zafir and Hamzah voiced their agreement loudly. “We were just going to the tavern. You should join us, Hamíd!” Zafir said. When Corin hesitated, Hamzah clapped him on the shoulder. “Come on! You’ll have plenty of time before these buffoons get the wagon loaded.” He took the flagon from Corin and drank. “Aye, you look like you work too hard already!” Zafir said. The three of them roared with laughter. Trey’s salute told him that he understood. Relieved, Corin draped a friendly arm around Hamzah’s shoulder as they made their way toward the tavern. “What is he doing?” Martin asked Trey. “I hope he knows. Come on, let’s hurry with these.” Trey slung another bag up to Liam. An hour passed and there was no sign of Corin. Liam scanned the street anxiously. They had finished filling the wagon almost half an hour ago. “Wait,” Trey replied, equally uneasy. Want a chance to win free ebooks and other swag?? The Rise of Aredor and The Wildcat of Braeton, a set of 4 notecards of the series artwork, and the grand prize is a paperback set of the books + 1 notecard of choice! The giveaway will run from 9/28-10/4. His term of service to Lord Rishdah now complete, Aiden returns to his home in Braeton. As he travels he hears rumors that trouble plagues Braeton. Clan Canich is being attacked from within. He arrives, determined to save his father, his brothers, and his Clan from the treachery of one man. A year has passed since the Calorins were driven from Aredor and Corin is struggling to rebuild his country. Despite the peace, a fear haunts him that the Calorins aren’t far away. The Hawk Flight takes to the forest again to defend the borders against a possible attack from the neighboring country of Durna and its Calorin ally. As Aiden and Corin struggle to adapt to their new lives they know one thing for certain – war is coming to the North! “I understand.” Aiden hated it, but he could understand. “So what are you really here for? I know you don’t want sanctuary.” Laird Dandin’s look urged him to be honest. “I didn’t know it was so bad,” Dandin said. “My Laird, I’m not asking for your help. I just need tae know how many of Clan Canich are here.” Aiden leaned forward on the table. “Thank you, sir,” Aiden replied gratefully, hoping he did not require the Laird’s hospitality for long. Want more random facts? Visit the other blog stops for more! Two great books, and guess what?? Today is your lucky day! For THREE DAYS ONLY, get The Rise of Aredor for only 99 cents!! Claire M. Banschbach is a native West Texan. 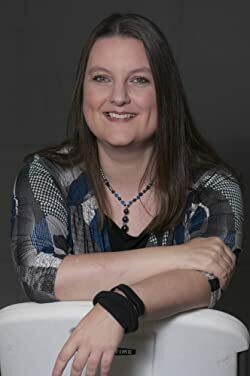 She discovered a deep and abiding love for fantasy and science fiction at a young age, prompting her to begin exploring worlds armed only with an overactive imagination and a pen while obtaining degrees in Kinesiology from Texas A&M and Physical Therapy from Texas Tech University. She talks to fictional characters more than she should while struggling to find time for all their stories. She currently resides in Arlington, TX where she works as a Pediatric Physical Therapist. Thanks for stopping by and checking out Claire’s new books! Need more of the Aredor Universe? Try Claire’s short stories on her blog! Happy reading! I received BoW as an ARC and was asked to do a review of it! R. Malak was previously featured on the Infinity Flower Publishing blog. Read his post here. “The Beginning” is a mixture of science fiction, fantasy, mystery, and survival. Devastated by war with unknown creatures, Talmen a roamer searches for his long lost brother in the hopes of re-uniting his broken family. Cora a resourceful ranger trained in both stealth and marksmanship heads out with her new squadron to eliminate a threat posed to her home by an Orc WarHorde. Togran Ka leader of the WarHorde finds himself embroiled in ancient rivalries and blood feuds. His attempts to adapt to human weaponry, causes much hate amongst the believers of Sezrath. Lucy and Rollo siblings abandoned by their parents, make their living selling items they have scavenged and repaired to any surviving human settlements. Opposite sides of the same coin, Rollo is a cheerful boy with the glow of innocence still about him and Lucy an overprotective cynical woman, who fears for the future. The Mother a creature of pure malevolence and vileness seeks to cleanse the world. When I started reading Breath of War, I wasn’t sure what I was getting into. From the very beginning, R. Malak had me hooked with Talmen’s struggle just to survive the day. There was so much action, with battles that left me feeling like I was the one being chased by monsters. Malak also includes an awesome insight into the society and minds of the monsters, to the point that I almost felt sorry for them. Almost. The twist at the end really threw me for a loop and left me with one burning question: When is the next book coming out?? 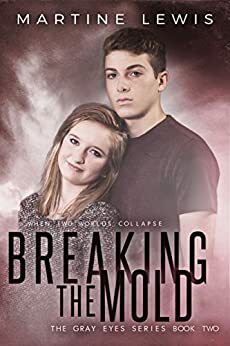 If you love dystopian futures mixed with fantasy monsters and epic battles for the survival of the human race, then this book is for you! And remember, this is just The Beginning. I really enjoyed this book. It’s not your normal, run-of-the-mill fantasy, even though it features orcs, goblins, and other bad little monsters with teeth and a craving for human flesh. I was surprised initially by the amount of detail that Malak puts into the battle scenes (and they make up probably 90% of the book! ), but I think that’s what makes this story so compelling. These people are not just living in a changed world, they’re fighting every moment to stay alive and try to adjust to the beasts that have taken over. I really liked that it gave this book a dystopian feel, while still maintaining the fantasy. The orcs and their society were really interesting to me. The way Malak writes them, we see that they aren’t just mindless beasts; they have wants and desires and they have to maintain status or risk being turned on by their brethren. It lends an empathy to these creatures that is otherwise lost in most fantasy. It’s nice to see that the bad guys have brains and aren’t just slobbering death-machines. The ending really threw me for a loop, but I won’t spoil it here by talking about it! 🙂 There’s a massive plan beginning to unravel, involving all the races, and, like I said in my review, this is just The Beginning! Overall, I give R. Malak a solid 4-star rating. If you would like to read this book, it’s available now on Amazon for pre-order and will be available on Kindle Unlimited! Follow R. Malak on Facebook and Twitter, and check out his behind-the-scenes posts on Wattpad, including a history of the orcs! So today I was going to share another part of a short story with you all, but then I got caught up doing covers for the short stories I’m working on, so I thought I’d share those instead! Gemma is a retired member of GLOW, the Galactic Law Enforcement Over-Watch. She and her husband, Jared, are living the perfect life, but then a blue diamond shows up on her walk home one night. All she can think about is this diamond, which seems to have a spell cast over her, making her forget everything, including her young son, Benjamin. She knows she can’t overcome the power of the jewel on her own, but can she bring herself to tell Jared? Read the first two parts here! Lizette has a secret; one she’s been hiding for a long time. Tasked with protecting a magic amulet, she thought she’d finally managed to ditch the Knighthood that is trying to recover it. But she comes home from work one day to find a sword stuck into her ceiling, and she knows she’s been found. She must turn to her former partner, Aubrey, whom she hasn’t seen in years, if she wants to live. Can she and Aubrey work together to keep the Knighthood from taking back what they had once stolen? Read the first part here! Centuries of being bound in stone have kept me from completing my mission: to find and kill Eyran. Two hapless morons have finally released me, and pointed me in the right direction. It is time for Eyran to be taken from his new throne, made of glass and metal, and finally die. It is time for his reign to end. Not sure what I’m going to do with all of these shorts yet, but I’m really happy with the covers! What do you guys think?